The Dual-SIM version of the HTC One is available only in China, yet it is the first variant of the phone to receive the Android 4.2.2 firmware update. The good news for the rest of you who are rockin' the plain old one SIM version of the phone, is that this is a sign that you could soon be receiving the update yourselves. Just remember that carrier testing is one of the reasons why updates seem to take forever. According to a screenshot, the update weighs in at a hefty 175.25MB and besides the Android 4.2.2 goodies, it includes an enhancement for the launcher bar, a revamped widget panel and a new lock screen design. A new option added to the home button allows you to remove the navigation menu bar and the battery level can now be read from the status bar. Toss in a couple of changes to the notifications shade such as a Quick Settings panel and an Auto Focus lock for the camera, and the update is just about covered. If having Android 4.2.2 come on your HTC One out of the box is so important to you, digging deeply into your wallet for $599 will allow you to buy the "Google Edition" of the HTC One which will ship with Android 4.2.2 already installed, starting on July 9th. 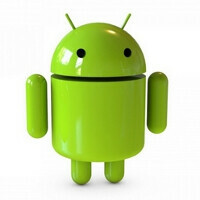 And later the same month, the unit just might even be updated to Android 4.3. Ah, isn't it nice to be the King own a "Google Edition" handset? The HTC One should have been released with 4.2.2 out of the box. If other OEMs can do it, why can't HTC do it? But nonetheless, the update is finally coming and that's something to be happy about. Because HTC is notorious for being quite behind the competition when it comes to updating their devices. I'm sure with the HTC One though, they should improve on it. I hope. I wonder why LG is lagging behind with the updates, HTC is improving , but LG is still....the same ol' LG. If you know what I mean. The G Pro is still in Android 4.1. Yeah even Sony is improving. What do you mean? Sony is pushing out Android 4.2.2 update for the Xperia Z right now. LG, Motorola, Huawei and ZTE are a lot slower. Sony has gotten better, but they're slower than Samsung and Asus at pushing updates to their products. At least Sony is improving, not like LG, Motorola, Huawei and ZTE. riiiight, where are you from? Sony already updated their flagship devices (Z/ZL) to 4.2.2. I agree they are slow but better than last year and improving. i remember the days when HTC & Verizon were the best OEM and Carrier for updates. xD oh well, this is still good news and who cares that it took this long. the HTC One was at least matching the S4 running 4.2.2 in comparisons running Android 4.1.2. the important thing is that Sense 5 is a breath of fresh air when it comes to UI Skins. actually 4.1.2 HTC One is much better than the 4.2.2 S4 coz S4 got too much complain about lags.. The Dual-SIM HTC One dosn't available only in China. Russia, as well.